Several times on the show, I have made mention of the book Neo-Conservatism: The Autobiography of an Idea, Selected Essays 1949-1995, by Irving Kristol. If his name sounds familiar, it’s because it is. Kristol was a popluar and influential writer and political commentator for over fifty years; he was a father of the neo-conservative movement (neo meaning “new”) and the father of Bill Kristol of The Weekly Standard who carries on his father’s tradition and, with his own compatriots, profoundly influences the Republican party to this day. Neo-Conservatism lays out the decades-long journey Irving Kristol made from self-described neo-Trotskyist and neo-Marxist to one of the founders of the neo-conservative movement. The book is beautifully written with a truly elegant style, and Kristol brings to the subject levels of sociological analysis that one rarely finds on the right. As a matter of fact, it’s the kind of sociological analysis that one never finds on the right – the traditional right, that is – because it is a fundamentally leftist view which starts with the assumption that the basic unit of society is society itself instead of the individuals who comprise it. As beautiful and interesting as the book is, it’s also an offense to sincere Americans, from its total lack of recognition of objective individual rights to its Machiavellian prescriptions for the Republican party. I still recommend the book both because it is intellectually gripping and also because the essays are artfully written, but the real value of the book is that it reveals the origins and goals of the neo-conservative movement, and they are quite illuminating. [The Republican] party has never fully reconciled itself to the welfare state, and therefore has never given comprehensive thought to the question of what a conservative welfare state would look like. . . . The idea of a welfare state is in itself perfectly consistent with a conservative political philosophy–as Bismarck knew, a hundred years ago. In our urbanized, industrialized, highly mobile society, people need governmental action of some kind if they are to cope with many of their problems: old age, illness, unemployment, etc. They need such assistance; they demand it; they will get it. The only interesting political question is: How will they get it? This is not a question the Republican party has faced up to, because it still feels, deep down, that a welfare state is inconsistent with such traditional American virtues as self-reliance and individual liberty. The dirty little secret is that Bismarck recommended the modern welfare state to the Kaiser because the citizenry was getting too prosperous and too independent following the Industrial Revolution. Bismarck sensed that the populace was beginning to question the Kaiser’s value-added and he knew he had to shore up the government’s position or risk revolution. As the great Professor Robert Higgs points out in his essay The Welfare State and the Promise of Protection and elsewhere that Bismarck’s motive in creating the modern welfare state was to rekindle the people’s love for the Kaiser by making them dependent on him. The people did not demand the welfare state as Kristol suggests, it was sold to them like a bad insurance policy–which is exactly what it is. Motives aside, however, what exactly does Kristol mean by a conservative welfare state? The basic principle behind a conservative welfare state ought to be a simple one: Wherever possible, people should be allowed to keep their own money—rather than having it transferred (via taxes) to the state—on condition that they put it to certain defined uses. That is one big condition! It’s a condition that may be consistent with Kristol’s new conservative philosophy, but it’s not consistent with a fiscally conservative philosophy, and it’s not consistent with sound economics or with liberty. Being told how to spend your money is not the same as keeping it, and although it may cut out the middle man and some of the inefficiency of government, it also creates dangerously inefficient markets in targeted services. We’ve already seen the effects of government-promoted spending in industries such as health care, education and housing, effects that include excess demand and inflated prices. In addition, anytime you encourage certain behavior over others by artificially interfering with free market pricing you reduce the total utility that otherwise would result. That is, people maximize their utility with each free choice they make—being induced to make a different choice either by being taxed and given a “free” service, or by being forced to use one’s own money to consume that service, results in a reduction in net social utility. If the Republican party were capable of thinking politically–i.e., thinking in terms of shaping the future–it would realize that its first priority is to shape the budget, not to balance it. Then it could go to the electorate with the proper political questions: How do you want the budget balanced? By more taxes for more governmental services? Or by lower taxes, lower governmental expenditures and incentives for the citizen to provide for his own welfare. This is not the language of someone who believes in free markets, civil liberties and limited government. A traditional American conservative does not think of how to use government to shape the future. He knows that in a free society, the future emerges organically (and gloriously) from the creativity, ingenuity and efforts of millions of free actors maximizing the value of their gifts and the resources at their disposal. Obviously there is some risk in such a bold approach. The budget, for a while, would indeed be in a perilous condition if some such Republican programs were passed while Democratic programs were not cut back. But that is the only way to permit the American people to choose their future—by making the choice, not only a clear cut one, but a necessary one. Could Medicare D and No Child Left Behind be the “Repbulican programs” that Kristol urges? Was our current budget crisis deliberately or at least recklessly precipitated by neo-conservatives to force America to choose? It seems too great a coincidence for this not to be the case. While I do believe Kristol and his gang set this plan in motion, it also seems clear they could not control the outcome. As this last presidential election seems to have demonstrated, the sheeple Kristol bases his elitist theories on aren’t as easily deceived as he predicted, and after the Republicans intentionally or ineptly initiated the budget crisis, voters seemed to know better than to run to them for a solution. Unless and until the Republican party is willing to overcome its book-keeping inhibitions and become a truly political party, it will be of only marginal significance which faction is in control, or which candidate it proposes. Herein lies the rub: Instead of offering the voters on the right what they want – a small, fiscally responsible government – the neo-conservatives will fight for big government to the last man standing because, as Kristol points out in this passage, it’s not worth winning elections if only a small government is the prize. It’s big government do or die for neo-con power seekers. This is part one of a two part post. 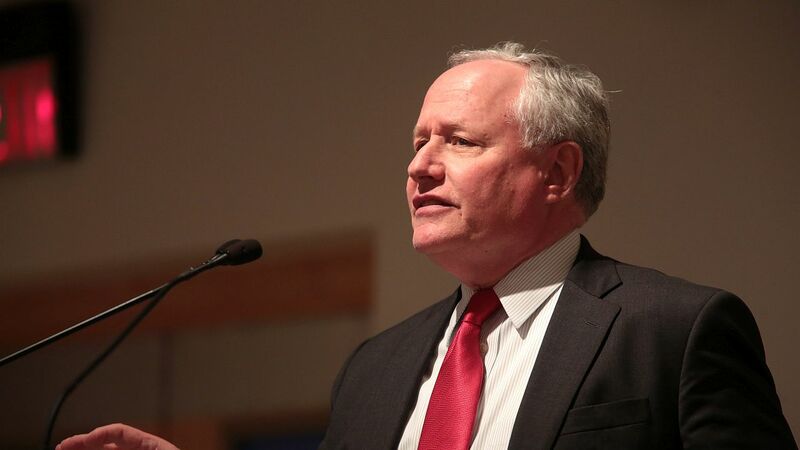 Click here for part 2 in which I will offer passages on Kristol’s plans for the religious in America and for shaping foreign policy as well as his “conservative” defense of radical socialism. Again you never cease to amaze me! This all makes perfect sense now. still take care of to keep it wise. I can’t wait to read much more frim you. This is overwhelming. While the conclusions of this man are so distasteful to me personally I can’t help but admire his ability to so eloquently argue for this madness. What is an anarchist to do in a world where those who seek power amount to such treacherous tactics to gain the people’s trust? To prey on our own frailties, knowing full well what is promised is impossible to supply, is beyond evil. Not to mention…quite the deflating blow to the cause of reversing the trend. I can only hope that the more sensible amongst us fight against this insanity. Actually-if you want to understand why he writes like that, it’s an old Marxist academic trick. See Das Kapital by Marx or Frankfurt School. The socialist knew the only way to get their challenging and often NOT populous views within society & government,was to dress it up in academic beautiful language as to persuade the politician, dazzle the media and confuse the people. Each group,seemingly missing the intentions of the architect. Monica, this is an excellent article. It really explains to me what neo-conservatism is all about; and what I was already seeing as a major rift in the republican party. Too many on the right are beginning to wake up to these charlatans. Personally, I think the republican party may be on oxygen right now and not far from expiring. Unfortunately, there is going to be a major rift in the 2016 elections and I honestly no longer really see a political solution on the horizon. There are not enough on the “right side” of things (Cruz, Chafitz, to name just 2) America, is fooked I’m afraid!